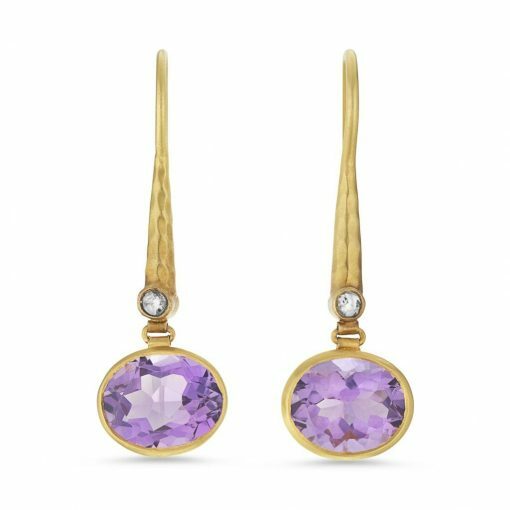 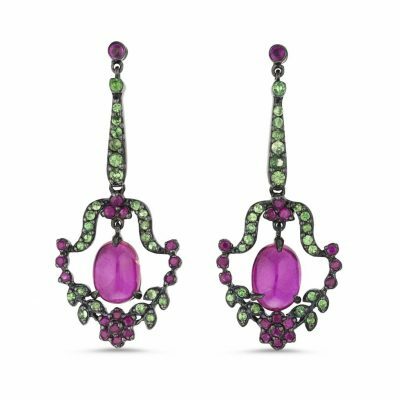 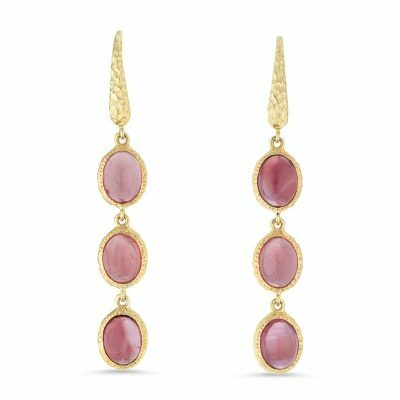 These drop earrings are made by hand from 18 carat yellow gold and set with diamonds and amethyst gemstones. 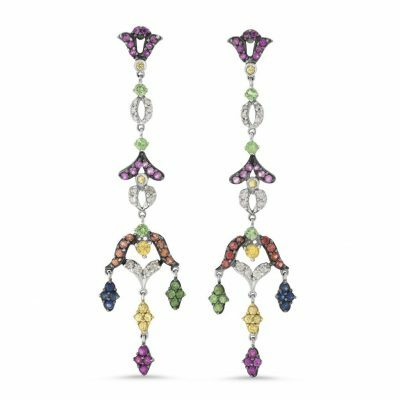 The gemstones measure 8mm by 10mm. 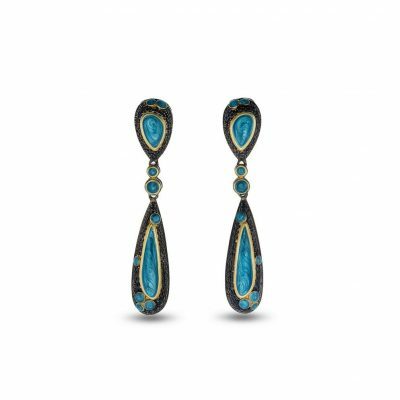 The drops are attached to each other with small circular links, so that the earrings flow and move on the ear when worn. 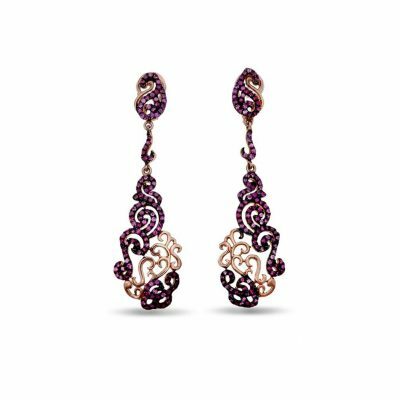 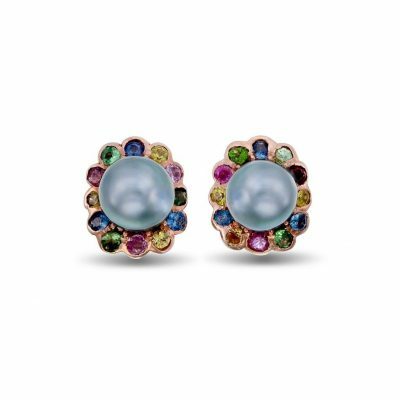 Each earring measures approximately 35mm long by 10mm at the widest point.